Dusseldorf, famed for its forward-thinking fashion, contemporary architecture and lively art scene has a huge variety of nightlife on offer. With everything from creative cocktail lounges to underground punk rock clubs, the bars in Dusseldorf have something for everyone. In a city where it is nigh on impossible to ‘just go for one’, waiters will hand you a new drink without needing prompting. Sip one of those famous German brews from a cold glass, relax and enjoy the ride. The old town is home to what is known as the “longest bar in the world”. 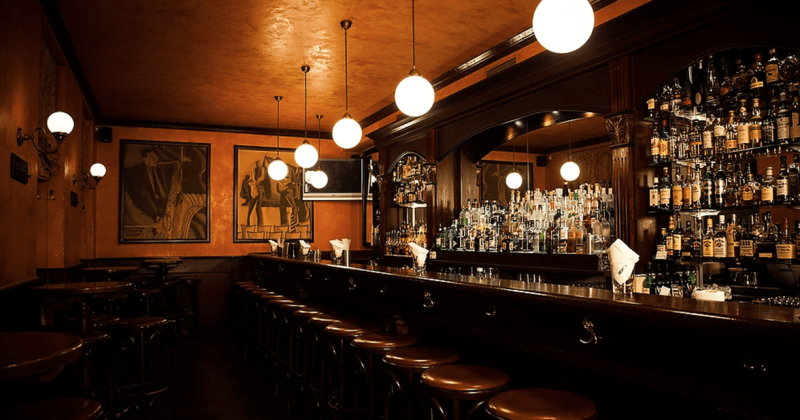 The immediate image that comes to mind is one infinitely long bar, spotted with draft beers, but it in fact refers to over 200 bars and breweries crammed into one square kilometre of the city. So why not head to Zum Uerige to try a sample of Dusseldorf’s local beer, Altbier, which is famed to taste like bacon. Or for a refreshing minty classic, why not try a Mojito at Mojitos? Or taste some award-winning mixology at Capella Bar? The possibilities are endless.